Aston Villa defender Nathan Baker has agreed a new three-year contract with the club. The 20-year-old was on loan at then-League Two side Lincoln in the 2009/2010 campaign and made five appearances for Villa last season. "I am over the moon," said Baker, who has progressed through the Villa ranks. "I only had a year left [of my previous contract] so to extend my association with Villa is fantastic. I am really happy." 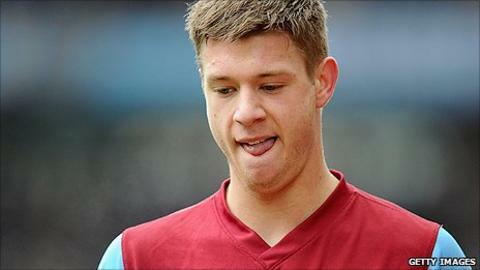 Baker, who can play as a central defender or left-back, made his Premier League debut in a 2-1 win at Wigan in January. However, he was sent off in his next appearance when Villa beat Blackburn in the FA Cup. He also made his full debut for the England Under-21 side when he figured in the 2-1 friendly defeat by Iceland in March.